Gio delivers an exceptional lesson experience and ranks in the top 15% of our teachers nationwide. As of January 2017, I am the band director at the New School for Leadership and the Arts in Kingsbridge (MS244 in the Bronx). I work with grades 6-8 in varying class sizes, teaching strings (violin, cello), brass (trumpet), woodwinds (clarinet, flute, saxophones), guitar, piano, bass, and drums. More than anything, I teach my students how to play as an ensemble, no matter their individual skill level. I began teaching guitar and drums in 2005, with students of all ages. I've taught both individual lessons and group lessons on both, and I've worked with young children (even infants and toddlers), teenagers, and adults. Over the years, I have also taken on students of percussion, harmonica, piano, mandolin, and bass guitar as well. I taught an after-school rock band class to middle-school-aged students. Bands consisted of guitar, keyboard, drums, and bass guitar. I volunteered with AmeriCorps, tutoring ESOL students in English and other academic subjects, as well as SAT Math prep, and assisted the school's band director with music classes. I helped teach violin to a class of third graders. 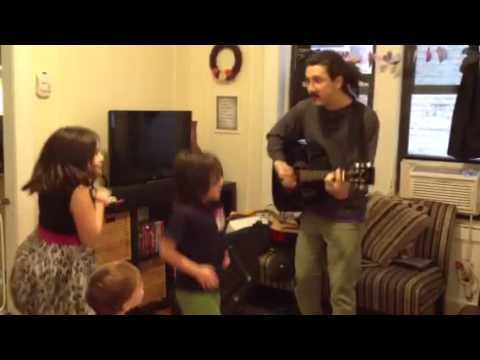 Gio Andollo (@GioSafari) performs "When I'm Jumpin" with his friends. Me with my fiancee and our pug. This song is an homage to Dylan, Guthrie, Kerouac, with a nod to Robert Frost. 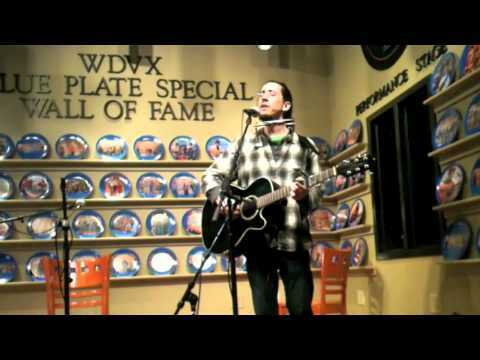 Performed on Knoxville's Blue Plate Special. Gio is an encouraging and helpful teacher! My son Joseph just completed his 5th lesson with Gio and he LOVES his piano classes. Gio is very patient and dedicated to Joseph. Glad that my son is taking lessons from him. He's very pleasant, patient and easy to understand. My son has learned alot with Gio so far. He is very patient, professional and wonderful working with my son who is now 8 years old. I look forward to many more lessons. Gio is priceless!Gio has been working with our 3 year old teaching him the mandolin for 6 months now. We find his commitment,expertise+personality impeccable. I would advise you to take lessons from no other. He is a star! Very patient with an older student with unclear goals. Gio is outstanding!look no further. Gio is great. He knows his stuff and makes the lessons fun while teaching. Gio has been wonderfully patient with my efforts as a total beginner. His instructions are clear and helpful, and he has provided a good mix of motivation and encouragement. Highly recommended! Gio has a great way of thinking outside the box and teaching my daughter each week. He uses creative methods to engage her and help her relate to the material and provides easy instructions for practicing during the week. He is patient and easy going which allows for her not to feel overwhelmed as she's just learning the guitar. I'm very happy with how he's teaching her! Gio truly focuses on the student's needs. I've met too many self-absorbed musicians in the past, but Gio really pays attention to details in the student's playing. He is excellent at teaching technique and was the first guitar teacher to help me fix physical problems regarding posture and arm tension. His kind, easy-going manner makes a student comfortable. He has a wealth of musical knowledge to share.